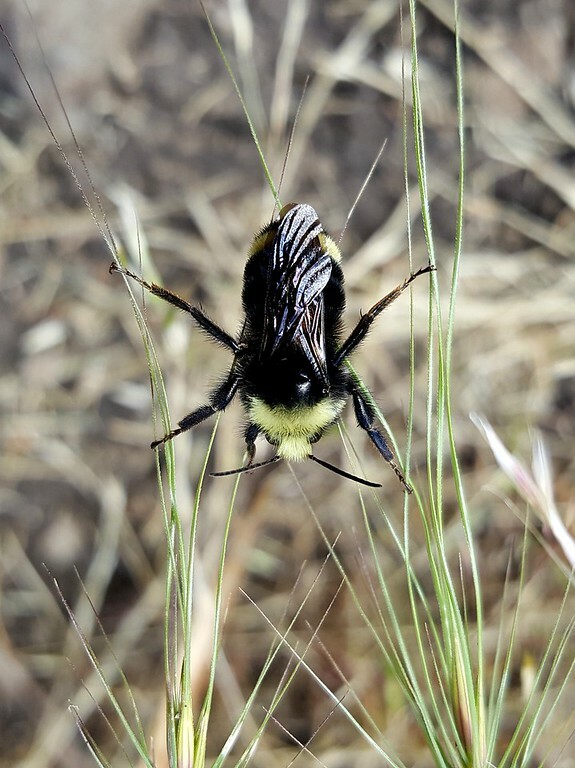 We were on an exercise hike around Roxy Ann Peak in Prescott Park when we came upon this bumblebee (Bombus sp.) gripped between two stalks of grass. The wind was oscillating the stalks in different directions, pulling and pushing the bee like some kind of derranged exercise machine. So much for a relaxing break from pollinator duty. Maybe yoga the next time? Great picture. Definitely not something I would want to try!